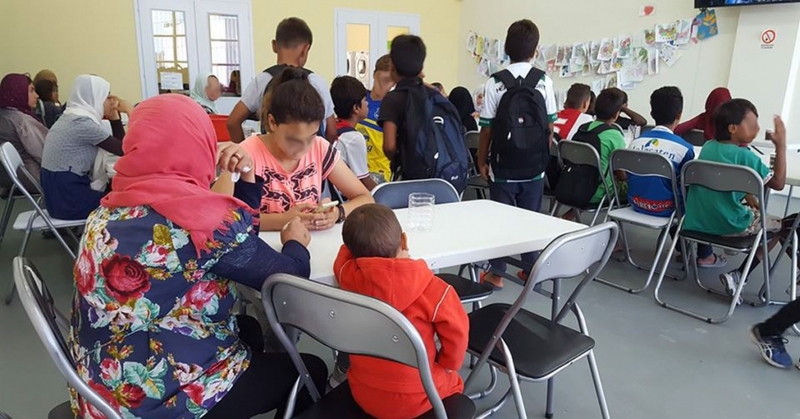 TeachBeyond member Doris Robinson and her husband, Bill, are serving as teachers to the children of refugees living on the Greek island of Lesvos. Teams of teachers rotate on Lesvos for three-month assignments. On Friday March 29, Bill and I taught our last class for this rotation on Lesvos. We taught 16, 6- to 8-year-olds for 11 weeks, three hours a day, five days a week. The students were from Afghanistan, Iraq and Iran. When they came to us they were scared, shy, could not recognise any of the ABC’s. and didn’t understand what these teachers from America were saying. When we ended they were laughing, hugging, and behaving like regular 6- to 8-year-olds. They were able to read, write, identify and say the ABC’s, numbers 1 to 20, days of the week, months of the year, weather, colors, basic shapes, fruits. and vegetables. They were also reading some three-letter words, doing addition, singing everything we sang in class many times, dancing, and feeling safe. There are so many children in Moria refugee camp who need a safe place to learn and heal. We end our rotation and another group will start April 8. My heart is heavy because of this ending but thankful to see the changes in these children. We are also very thankful for A Drop in the Ocean, the Norwegian NGO that we are partnering with. We have had the privilege of working alongside of the BEST volunteers from Drop, but we need more teachers.